Industry's much awaited big budget movie in the making, ODIYAN is expected to rise above the conventions of Malayalam film-making. Under the banner of Aashirvad cinemas, Odiyan will be produced by Antony Perumbavoor. Mohanlal's role in the film is believed to be one among the most intense and strong character he has portrayed in his acting career. Odiyan will also have some remarkable acting and action sequences that will mesmerize its audience. Preceding the big budget epic 'Randamoozham', Odiyan is a directorial debut by the infamous ad filmmaker, Mr. V.A. Shrikumar Menon. National award winning scriptwriter and journalist, Mr. Hari Krishnan is the screenplay writer. Malayalee's comeback queen Manju Warrier will be playing the female lead and Mr. Prakash Raj is cast as an anti-hero. 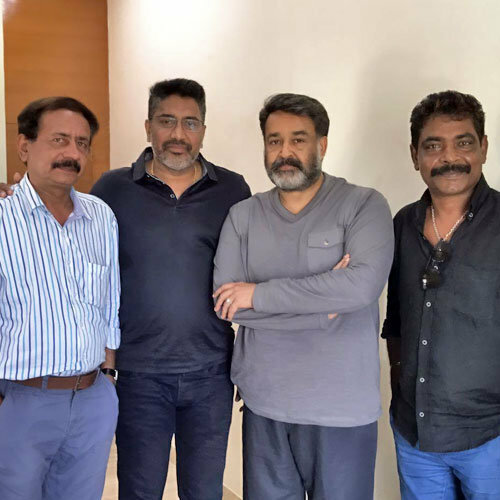 Teaming up with them all, Odiyan also has a prominent Bollywood megastar, playing an important role. Besides the celebrated star cast, Odiyan has some talented technicians behind the screen. Production design is handled by Sabu Cyril and the popular fight master Peter Hein will be choreographing the action scenes. The cinematography is by Shaji Kumar and editing by Sreekar Prasad. Songs in Odiyan, penned by Lakshmi Sreekumar, is composed by M. Jayachandran. Sound design is by the popular sound designer of films, Bahubali, Rangoon and Kaminey, Mr. Satheesh. Gokul Das will be the art director and Sidhu Panackal and Saji Joseph will be handling the production for the film. Odiyan promises to astonish its audience with some never before witnessed exhilarating visual experience roping in International VFX technicians, making it the most expensive film in Malayalam so far. The movie will begin its shoot on May 25th and the shooting locations will be Palakkad, Thasrak, Udumalpet, Pollachi, Banaras, and Hyderabad.